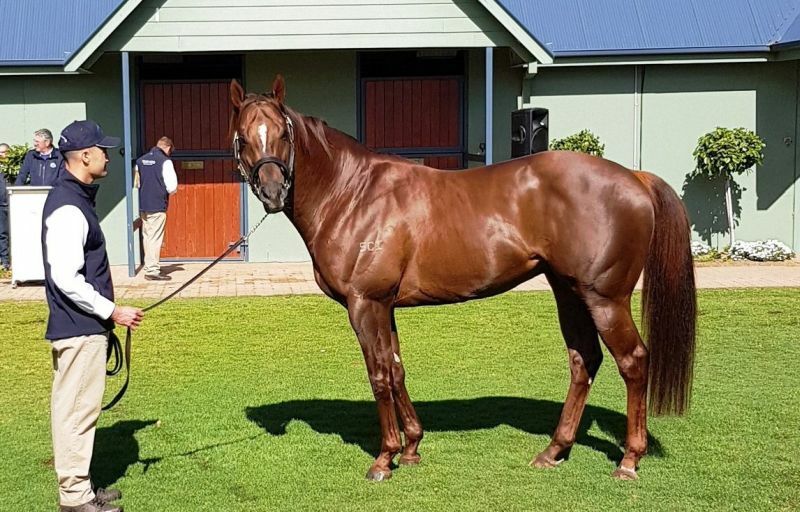 Swettenham Stud has launched a new initiative, called “Foalshare – Wholeshare” for the upcoming stud season providing new opportunities for broodmare owners. Swettenham explains that when a breeder uses their stallions Trust In A Gust, Rebel Dane, Puissance De Lune or Americain during the 2018 stud season, they will enter into a foalshare agreement with the breeder. When the foal is born, the breeder is given 14 days to decide whether they would like to exercise their buyout clause and pay the service fee, giving them 100% ownership of the foal or continue to press on with the foalshare agreement. If the breeder decides not to buy out, there is no service fee payable and they grow out the foal at the location of their choice and sell at public auction as a weanling where the breeder and Swettenham split the net proceeds from the sale 50/50. Swettenham also shares the sales company commission and sales entry fee evenly. “We have identified the weanling stage as the time to sell due to current positive market trends. It enables the buying bench to see the progeny of our young, up and coming stallions, so they have the best opportunity to succeed in multiple yards and stables,” Matthews said. Swettenham has backed this great deal with their four quality young stallions; Trust In A Gust, Rebel Dane, Puissance De Lune and Americain. “We have inspected most of the Trust In A Gust weanlings and love the type he consistently produces. They look to be early runners, and he throws size and strength into each and every foal,” Matthews continued. “Americain’s winners are coming through on the track, he has sired his first stakes winner along with multiple stakes placings, and he is leading Victoria’s second season sire table by both earnings and winners. “Puissance De Lune has been extremely well received, and it is a great sign that the breeders who sold his yearlings have booked back in, while we are looking forward to our dual Group 1 sprinter, Rebel Dane, passing his speed, quality and tenacity to his first foals this season. For more information on the Foalshare – Wholeshare offer, contact Sam Matthews on 0487 851 572.